Our goal is to provide our customers with exceptional service that not only equals, but supersedes the quality and reputation of our product lines. 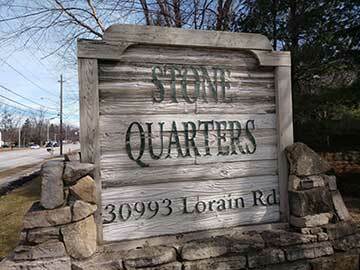 Stone Quarters opened in the spring of 1998 by Scott and Mary Beth Minnick. Scott began supplying and installing a precast concrete curb system for commercial parking lots in 1983. Business grew quickly. While at Niagara Falls in February 1986, Scott witnessed a construction crew installing Unilock pavers for a major street renovation, under what looked like a circus tent. He thought this would be a great addition to his business and installed his first residential paver patio in the spring of 1986. With extensive growth, the company became an Authorized Unilock Installer in 1988. As the business and its inventory grew, the plan was launched to open a distribution yard. 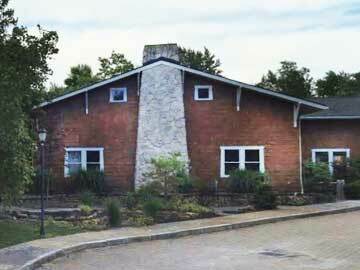 On January 2, 1996 we took possession of the site that Stone Quarters rests on. The wooded lot with a house that was built in 1916 was slowly cleared and graded., Our sign and paver driveway was installed to allow us to open in the spring of 1998. From the beginning we have prided ourselves on our customer service. We take the time to help educate homeowners on proper installation for a successful project, while realizing the importance of getting contractors in and out with their materials so they can get back to their job sites and get the job done.